An installation by the member of the 1st Antarctic Biennale Hani Rashid and the Institute of Architecture, University of Applied Arts Vienna. Mankind’s continuous and relentless consumption and insatiable need for space is critical to the future of our planet. In particular, taking a closer look at the future of Antarctica is more critical now than ever. The negative effects and problems we are beginning to witness as a result of greenhouse gases and global warming are nowhere more acute and apparent than in the delicate and untouched territories of both poles. By many accounts, the earth’s climate will change so dramatically over the next 100 years that the weather systems and temperatures we consider “normal” today in places like Alaska or the northern reaches of Scandinavia will become the weather systems that will envelop large swaths of Antarctica instead, making it eventually, perhaps in this century, inhabitable. The notion that large parts of Antarctica will become inhabited and will produce crops one day begs the question of how we as architects might consider such a future, taking into account two important mitigating factors. The first aspect is the fate of the continent as the earth’s population increases exponentially, which will invariably compel us to turn to this region for dwelling, tourism, mining, fishing, bioprospecting, energy production, and the like. The second aspect is that, with climate change and the melting and warming of polar ice caps, a domino effect of catastrophic proportions the world over will unimaginably alter coastline cities through rising sea levels. 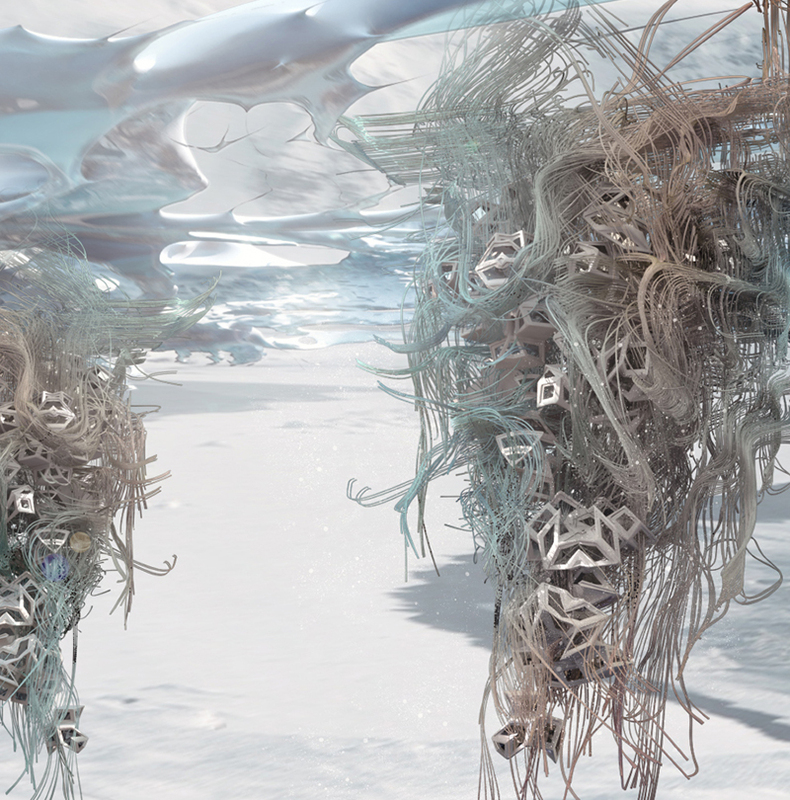 With these two realities already at work, Studio Hani Rashid at the University of Applied Arts Vienna, Deep Future Lab has undertaken this research project as a part of the Antarctic Biennale agenda, positing what the future might hold for Antarctica. This body of work and research filling the Antarctic Pavilion is in no way advocating that we inhabit and deface Antarctica, but rather, the contrary: Can entirely new forms of architecture, planning, thinking, and making for new cities in Antarctica evolve from questions that need to be asked regarding sustainable, renewable, and zero-impact solutions, while allowing for vast populations and viable architectural solutions in the near and deep future?